Red Bank, NJ 1/29/ 2019 – The accounting firm Smolin, Lupin & Co. is pleased to announce the promotion of Henna Reit to the position of member of the Firm effective January 1, 2019. Henna, a CPA with more than 20 years’ experience, is based in Smolin’s Red Bank, New Jersey office, where she specializes in financial reporting, business consulting, audits of commercial entities, employee benefit plans and tax services. She serves various industries including Real Estate, Manufacturing, Distribution, Retail and Service businesses. She has worked extensively with client’s controllers, financial executives and audit committees to advise and resolve numerous audit, tax and accounting issues. Henna is proficient with a wide variety of audit and accounting software, and has instructed accounting professionals on the use and operation of these systems. A graduate of Touro College in Brooklyn , Henna is a member of the American Institute of Certified Public Accountants and the New Jersey Society of Certified Public Accountants. About Smolin Lupin & Co., P.A. Since 1947, Smolin has dedicated itself to developing long-lasting client relationships. We provide professional financial and accounting services uniquely designed to meet the needs of each and every client. This personal attention and guidance has helped us become the successful and respected CPA firm that we are today. Smolin’s panel of wealth advisors and finance professionals include Certified Public Accountants, Certified Financial Planners, Personal Finance Specialists and Registered Investment Advisors. These individuals have the certification, experience and knowledge to manage your wealth to allow you to focus on your business.  Smolin Lupin is an Independent Member of the BDO Alliance USA and is one of the NJBIZ Top 20 Public Accounting Firms in New Jersey. For more information, please visit www.smolin.com. Cautionary Notice: Any accounting, business or tax advice contained in this communication, including attachments and enclosures, is not intended as a thorough, in-depth analysis of specific issues, nor a substitute for a formal opinion, nor is it sufficient to avoid tax-related penalties. The sender intends by this message to communicate general information for discussion purposes only, and you should not interpret the statements to be written tax advice or rely on the statements for any purpose. If desired, Smolin, Lupin & Co., P.A., will perform the requisite research and provide you with a detailed written analysis. Such an engagement may be the subject of a separate engagement letter that would define the scope and limits of the desired consultation service. Confidentiality Note: The information contained in this message (and attachments) is confidential and may be legally privileged. The message is intended solely for the addressee(s). If you are not the intended recipient, you are hereby notified that any use, dissemination, or reproduction is strictly prohibited and may be unlawful. If you are not the intended recipient please contact the sender by return e-mail and destroy all copies of the original message and attachments.